It seems every once in awhile provincial governments like to change things up. 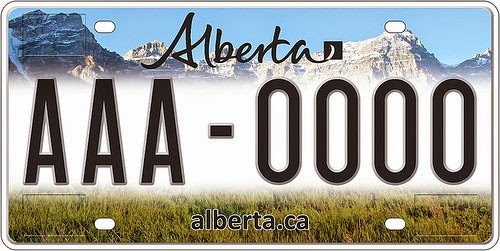 You know, they develop a new slogan, shine up a website or redesign a license plate - much like the Government of Alberta recently decided a redesign of the Albertan license plate was in order. 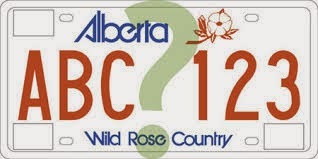 I suppose it is a bit amusing that the current opposition in Legislature happens to have called themselves the Wild Rose Party, meaning every license plate in the province is effectively acting as a marketing and communications tool for them (and as a comms person I think that is pretty bloody clever, although it might be more by coincidence than design as our provincial flower is the wild rose). And some grass. Maybe weeds. This one shrieks "Alberta is boring". And has no graphic designers with talent. Replacing the slogan with the website is also a little bit off. 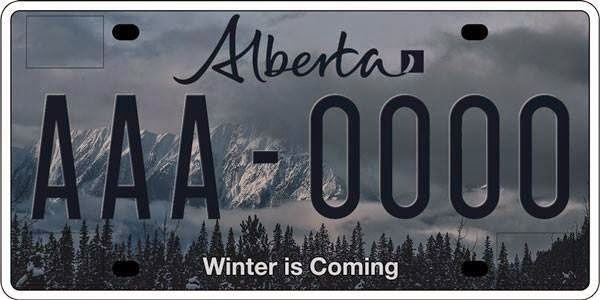 Ever been to the alberta.ca website? Well let's just say it isn't likely to keep you up all night with fascination about our province. A better choice might be travelalberta.com, which at least might make others seeing our plates think we have some sort of redeeming qualities other than a very dry website and rather boring license plate. The other night on Twitter, though, a new license plate caught my eye. Apparently it came to be through a rather clever individual and an Edmonton radio station. 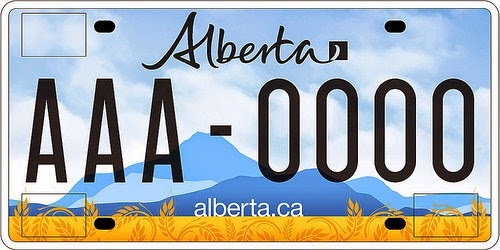 This license plate reeks of Alberta. It has no boring website, it is shaded in the colours in which we spend a lot of our year and the slogan? Well, not only a pop culture reference but the kind of truth in advertising rarely seen in this world. This license plate? Well, it has my vote - because if we are going to change our plate I say we go big or go home.